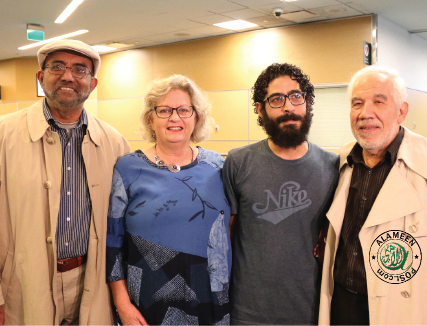 After spending seven months in the Kuala Lumpur International Airport and two months in a detention centre Hassan Al Kontar has been granted asylum in Canada. 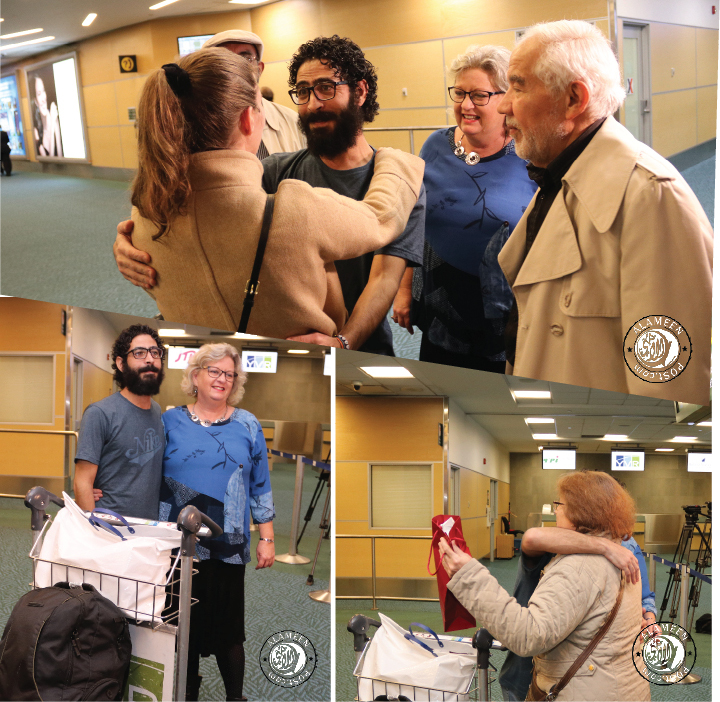 Hassan arrived in Vancouver on the evening of Monday, November 26th, where he was met by representatives from the Canada Caring Society, the organizations which supported his cause and B.C. Muslim Association which sponsored him to come to Canada. Hassan al-Kontar is one of 5 million registered Syrian refugees across the world with about some 3.5 million, residing in Turkey. Hassan was working in the UAE when the Syrian civil war broke out in 2011. The civil war now is in its eighth year has many countries closing their borders to additional refugees. Hassan could not renew his passport as it required for Syrian men between the ages of 18 to 42 to serve in the military. With those, evading will be facing imprisonment or be forced to serve in the military. He's also Druze, a minority religious group in Syria that has been targeted by extremist groups. Since his passport ran out in January of 2012 he lived as a stateless person, trapped in the UAE until January of 2017. Eventually one of his ex-colleagues was able to renew his passport for two years and the authorities wanted to send him back to Syria, but he was able to convince airport officials to send him to Malaysia instead. Malaysia is one of only a few countries that grants Syrians visa-on-arrival. Unable to find a job for three months he overstayed for a month. He tried to leave the country twice, first on a Turkish Airlines flight to Istanbul, eventually connecting to Ecuador, where Syrians can also gain visa-on-arrival. He was stopped from boarding this flight. The second time was on an AirAsia flight to Cambodia. This venture was slightly more successful in that he made it to Cambodia. However, Cambodian officials who decided that he did not qualify for a visa sent him back to Malaysia. The 37-year-old from Suweida, south of Damascus 7arrived back to Malaysia on the 7th of March. Upon his arrival, he realised that if he went through immigration, he would be taken to a detention centre and deported to Syria, as Malaysia is not a signatory of the 1951 Refugee Convention. Thus, he never left the arrivals lounge and was under the care of AirAsia, with the airline providing him the same three meals of chicken and rice every day for the last 264 days. After his story went viral on his twitter handle, a group of Canadians volunteers in Whistler B.C became aware of Hassan’s plight in April 2018 and tried unsuccessfully to help him leave Malaysia – decided to try to sponsor him to come to Canada. As of November 25, about 62,478 Canadians had signed a petition on change.org, raised over $17,000 to sponsor Hassan to come to Canada as a refugee, and secured a job offer for him. They publicly lobbied Ahmed Hussen, Canada's minister of immigration, refugees and citizenship to help. 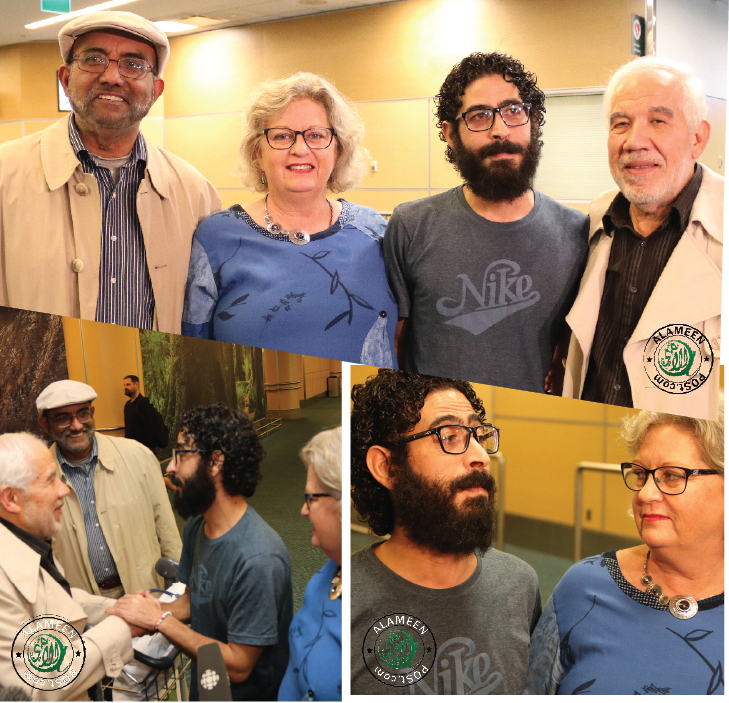 Shawkat Hasan, Vice President of BC Muslim Association Social services heard about Hassan’s situation through social media, he reached out and offered the BCMA’s support of Hassan’s application through the association’s sponsorship program. In October, while his application was being processed, Hassan was arrested by Malaysian immigration officials. Over the next two months his Toronto-based pro bono lawyer, Andrew Brouwer, worked closely with UNHCR, Amnesty International, Human Rights Watch, the Human Rights Commission of Malaysia (SUHAKAM) and Suara Rakyat Malaysia (SUARAM), as well as a prominent Malaysian lawyer, to ensure Hassan’s safety, prevent his deportation to Syria, and facilitate his resettlement to Canada. He also acknowledged the power of social media for raising his issues. Hassan thanked all Canadians for helping him in his darkest hour. He pledged to be a well member of this community, and will respect their ways of life. “Canadian helped me, One day when I will have my children I will tell them Canada helped me and changed my life and theirs.” He thanked all Canadians and the Government for their support.